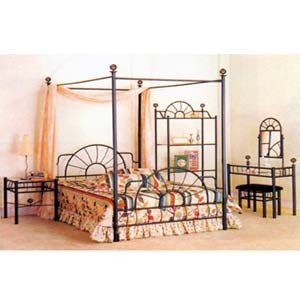 Queen Size Canopy Bed (PJ 7002Q). Also available in Full Size (PJ 7002F). The 82 Rails are extra. Wall Unit (2147 (A)) 36x15.5x69H is extra. Mattress not included. Easy to assemble.